We recommend starting the dryer with 35 minutes or more. Your clothes will not get dry in less time. You may add more time at any point during the cycle. It is best to add more time before the timer gets below 2:00 minutes. The final two minutes is a cool-down cycle. By avoiding multiple cool-downs you will minimize dry time. You may open the door at any time to check your load. The timer will continue to count down. Make-up Air: As the dryer exhaust fan removes moisture laden air from this dryer, an equal amount of air must enter. The air that enters to replace air that is exhausted is called “make-up air”. The fresh make-up air required for combustion comes from outside. It is particularly important in the cold Winter months that you understand how the cool-down cycle will significantly increase dry time if you stop and restart the dryer for short increments. Although it may take a little longer to dry in the Winter, any additional time is mostly at the beginning – warming up the clothes initially. The dryer burners are capable of heating very cold air, and can maintain the drum temperature even if it is very cold outside. 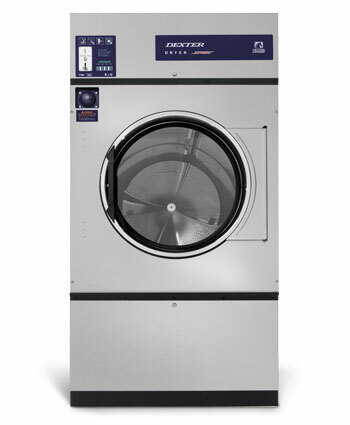 Most of the extra cost of Winter drying is borne by Laundromania, in the form of additional gas use as a result of the increased firing time of the burner. Press Next until desired time appears on display. Readers are programmed to offer multiple price points. You may add more minutes at any time by swiping your card again. To maximize efficiency and minimize dry time please read Dryer Hints. Declined. This is an issue with your bank. Is the little green light on the Dryer computer on? The card system seems to have worked, and charged your account . 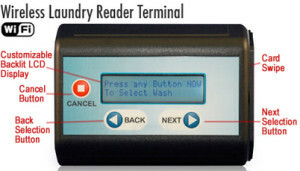 Possible issue with the dryer computer or other dryer problem. Try opening and shutting the door a few times. Be sure it is shut tight. Fill out a refund slip. We will determine if your account was charged.